Lift trucks operate in all kinds of environments. In operations where they unload just two lorries a week they can, as you may imagine, last for decades. 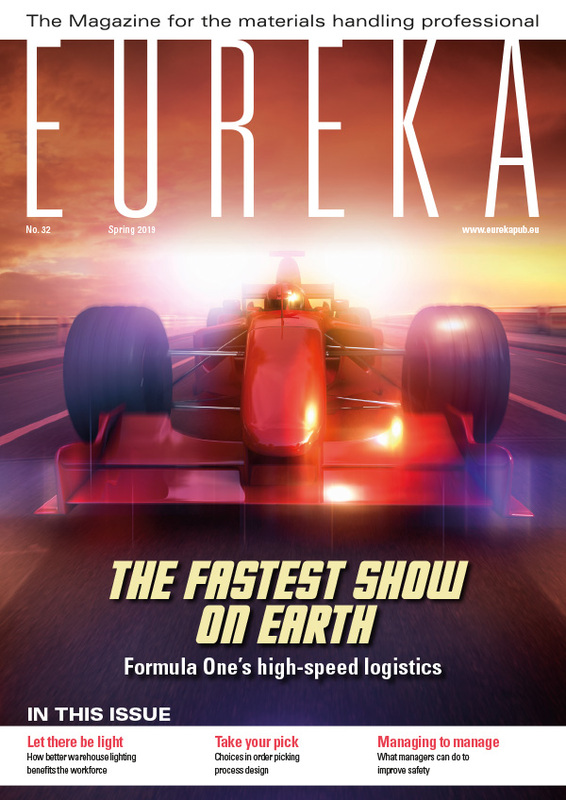 But how do they operate in extreme environments where demands are high? Any additional services to encourage customers to invest? Your eureka editor has practically been a neighbour of this global steel company without really knowing the company well. In the Netherlands it is perhaps better known by the former name ‘the Hoogovens’ and everybody in this region knows somebody who works there. 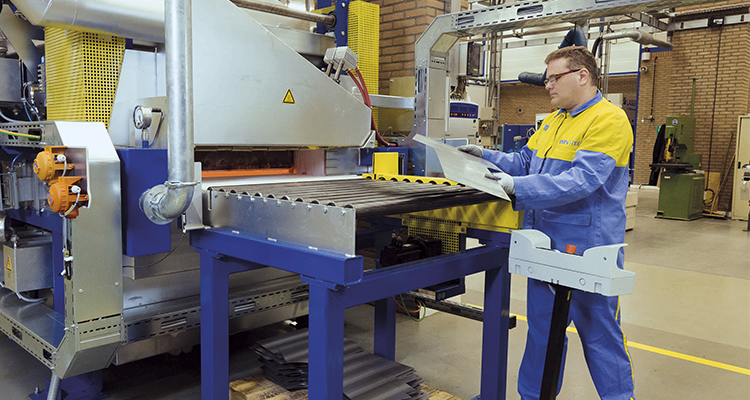 We were asked to take a closer look at their site in IJmuiden near Amsterdam in the Netherlands and learn more about their materials handling operation. 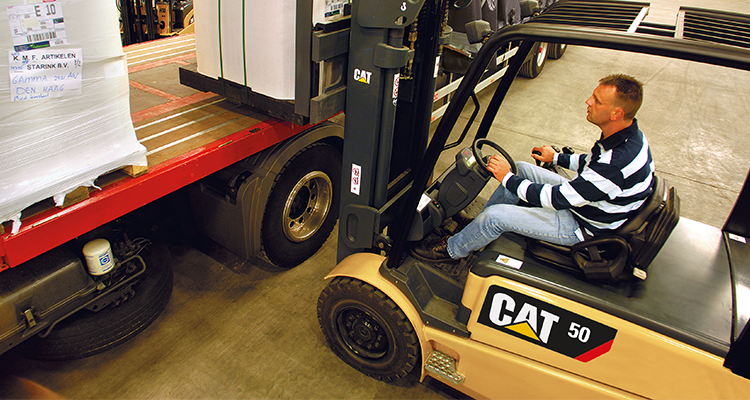 The production fleet, which operates 24/7, mostly employs the Cat® EP50N. Tata Steel in IJmuiden turns out to be a huge steel production site. Larger than a small village, it covers 750 acres and has its own roads and harbours, which are directly connected with the North Sea. The site is part of the Tata Steel Group and is engaged in the production, processing and distribution of steel products. Each year, Tata Steel IJmuiden processes approximately 4.5 million tonnes of coal and 9 million tonnes of ore. Through its sea port 2.5 million tonnes of quality steel is shipped to customers around the globe while a further 1.5 million tonnes passes by barge through the North Sea Canal to destinations in Europe. An additional 2.9 million tonnes of high grade steel is transported by road and rail to customers all over the world. Those are dazzling numbers, but it’s only on arriving at the site that the scale and scope of this impressive operation really become apparent. 2.9 million tonnes of high grade steel is transported by road and rail to customers all over the world. 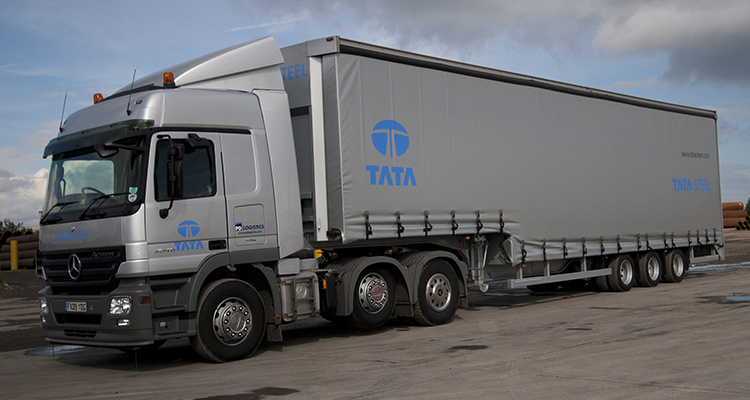 Image courtesy of TATA Steel. Steel is delivered in many different thicknesses and finds its way into automotive, food & beverage and other industries. 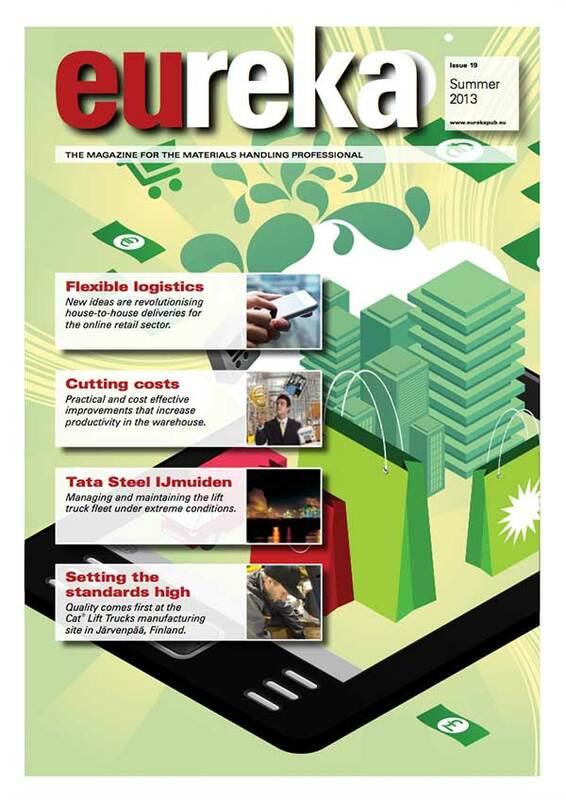 Image courtesy of TATA Steel. A quick goodbye and I am driving away from IJmuiden. Today we saw an incredible operation where professionalism, forward planning and dedication are vital to keep it running smoothly.